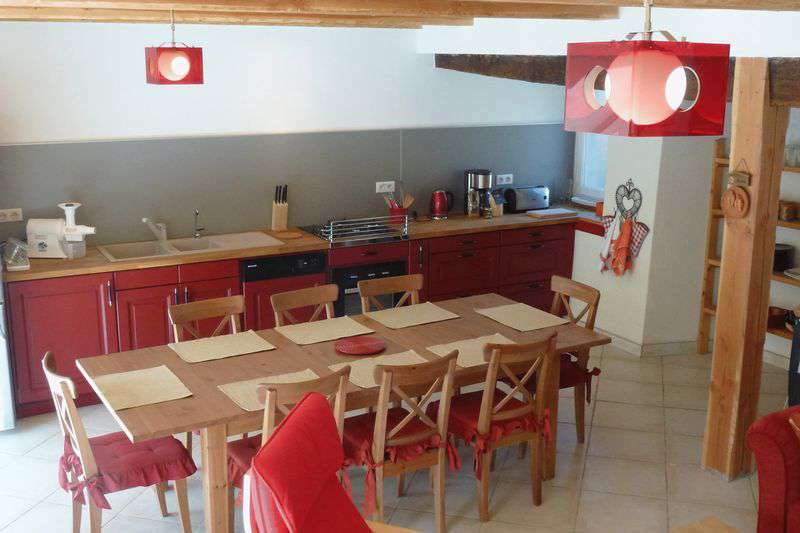 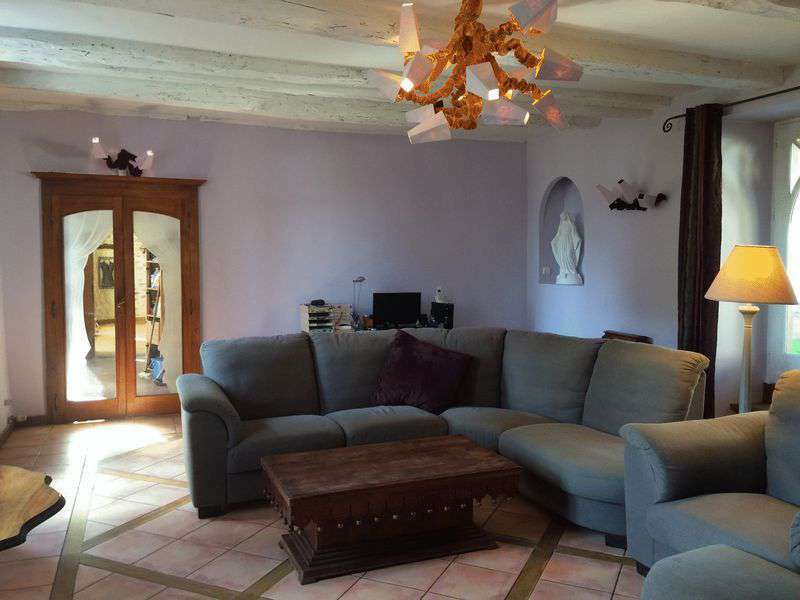 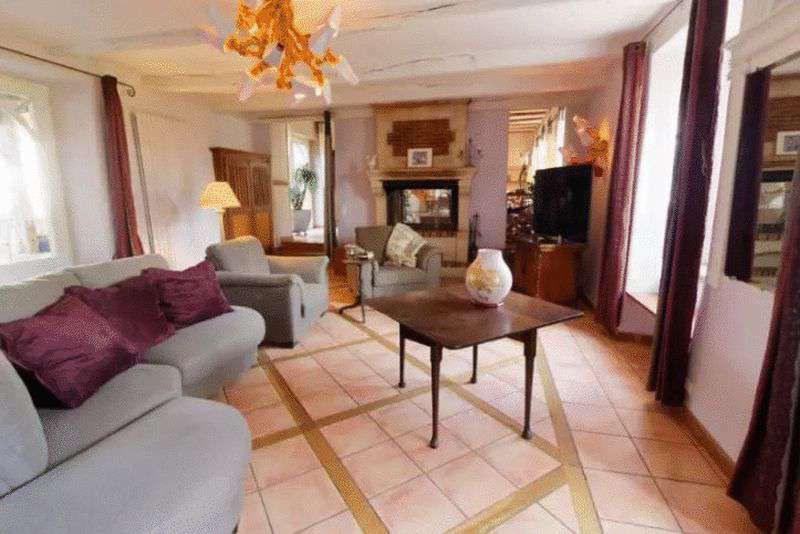 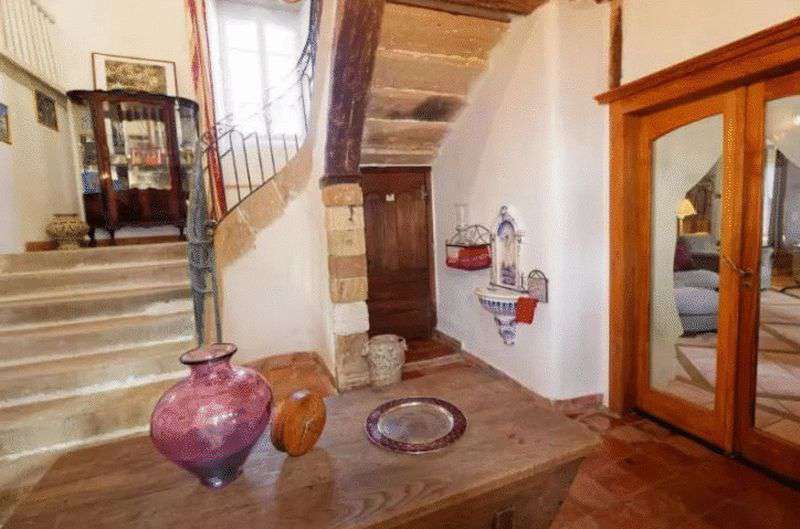 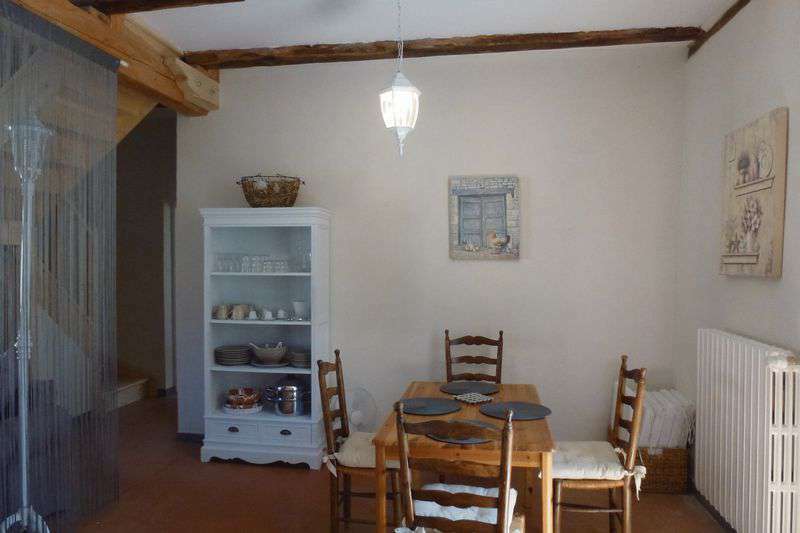 Maison de Maitre with 4 Gites and 18 Bedrooms for Sale on the Tarn/Aveyron Borders. 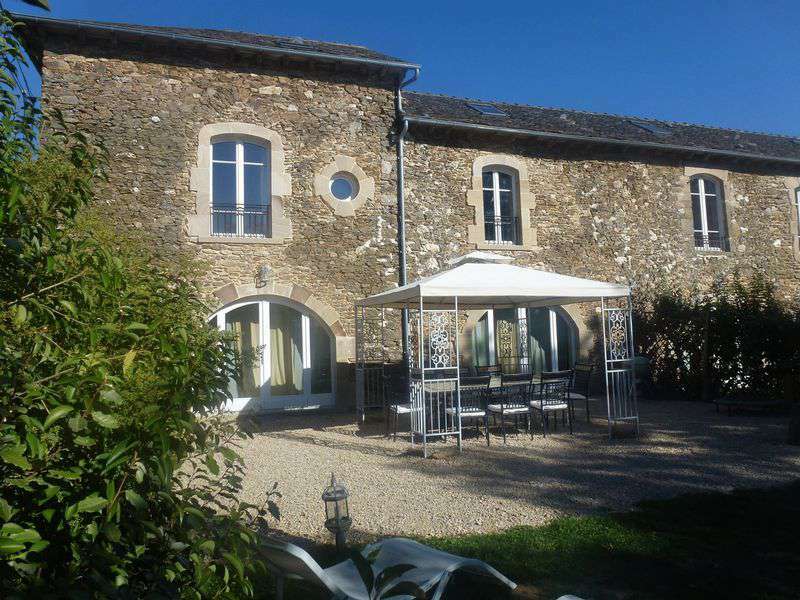 Dating back to the Seventeenth Century, this versatile character property is made up of a maison de maitre and 4 gites, set in 5 acres on the borders of the Aveyron and Tarn departments, with countryside views, privacy and income opportunities. 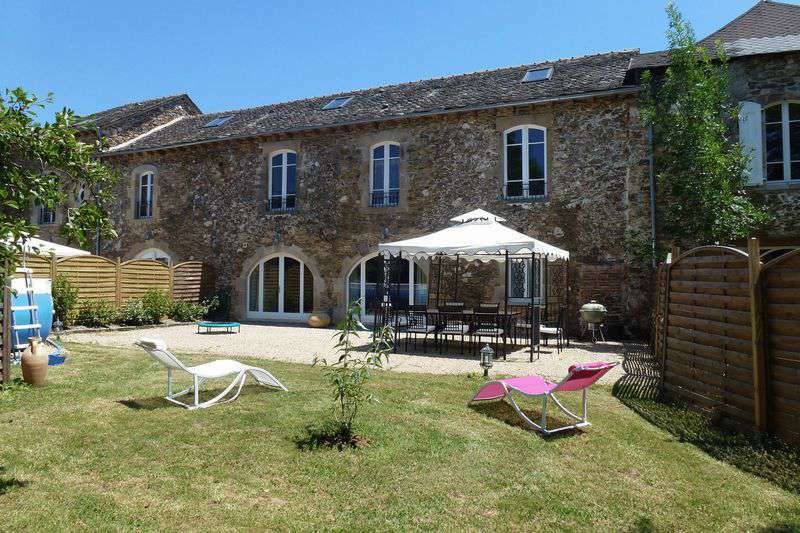 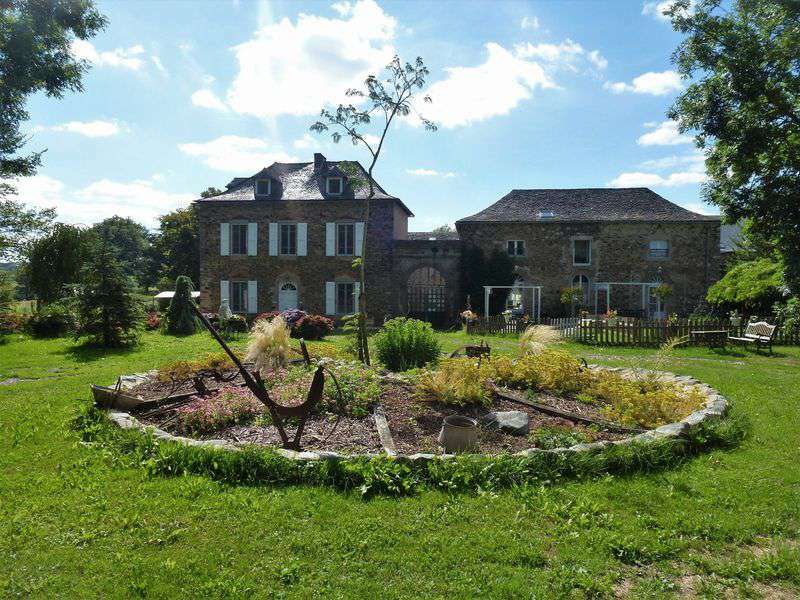 The south facing main house with courtyard sits in a landscaped park of 2 hectares, opening onto the park and the green hills beyond, without being overlooked by the gites. 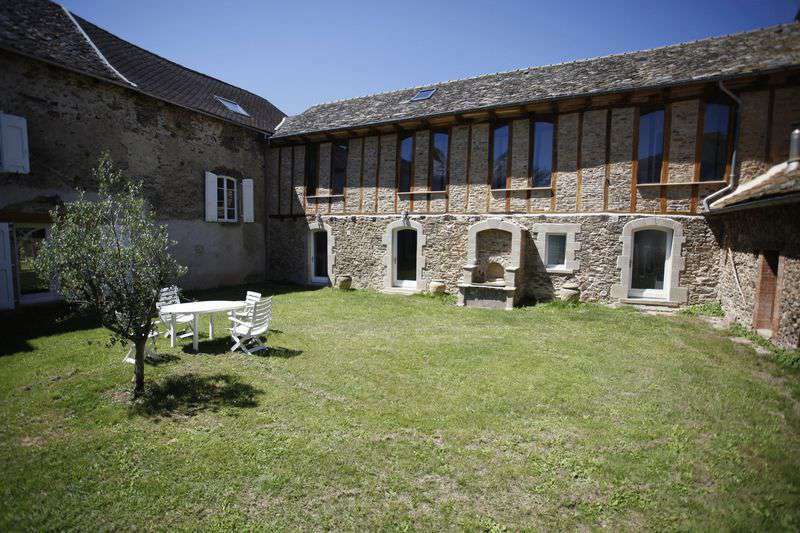 The gites are located in the east and west wing. 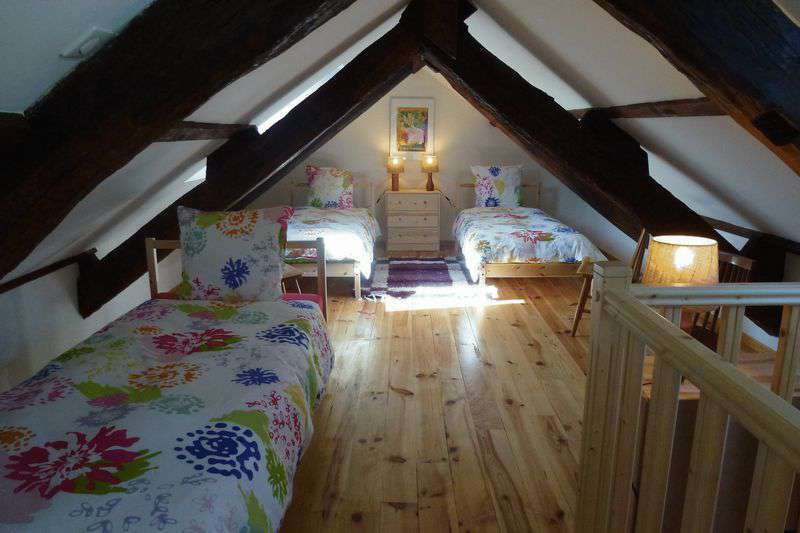 The outbuildings located to the north are used as workshops and for parking. 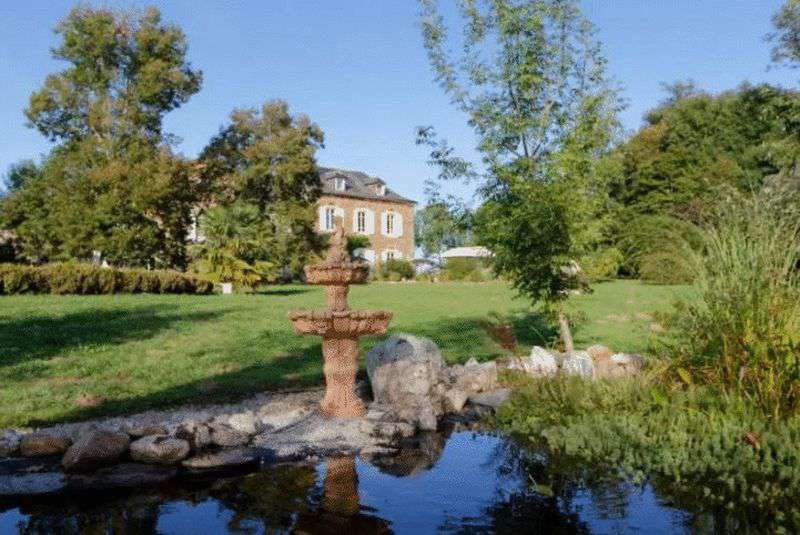 The large landscaped park includes a swimming pool with terrace, cottage and three-phase kitchen, a pond with fountain, a small wood and a vegetable garden. 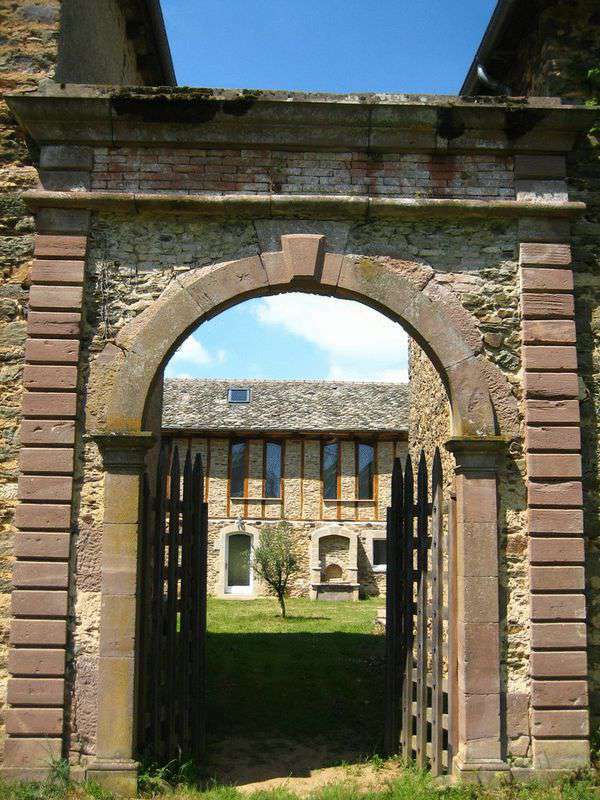 Access to the courtyard is through a stone arch. 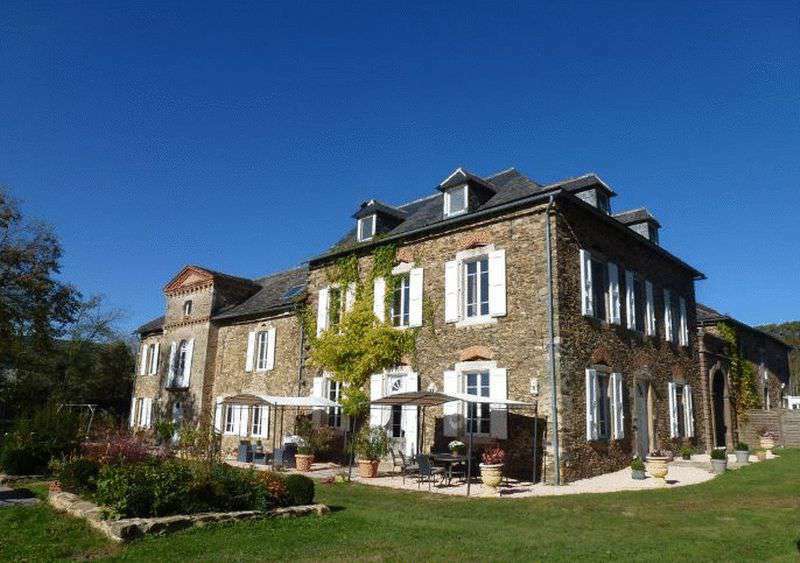 The 967m2 property has been inhabited year round so the chateau and grounds are perfectly maintained. 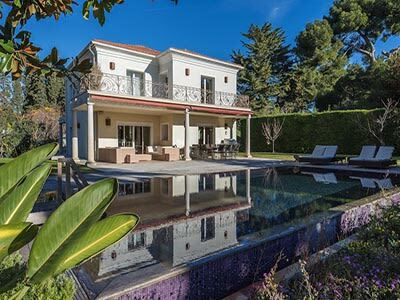 This magnificent residence has been totally and carefully restored and is ready to move into straight away. 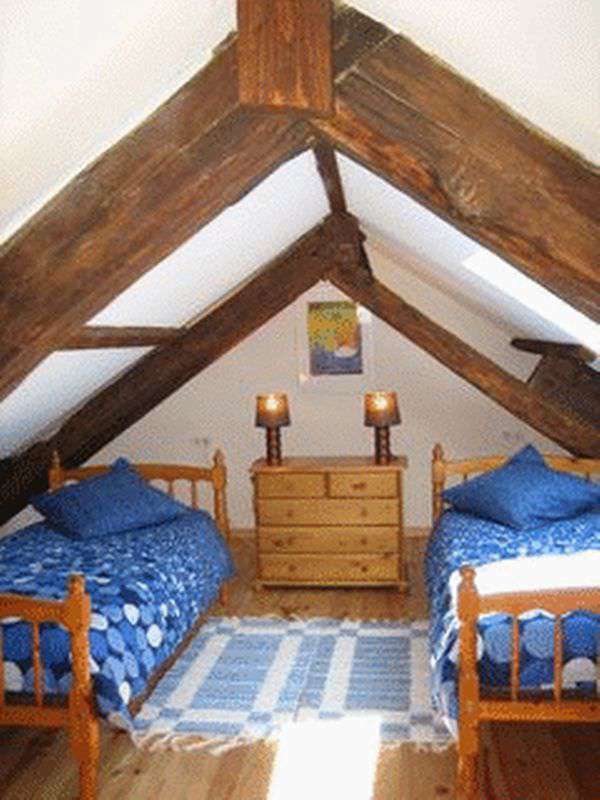 It offers 29 spacious rooms including 18 bright bedrooms, 6 bathrooms and 6 shower rooms. 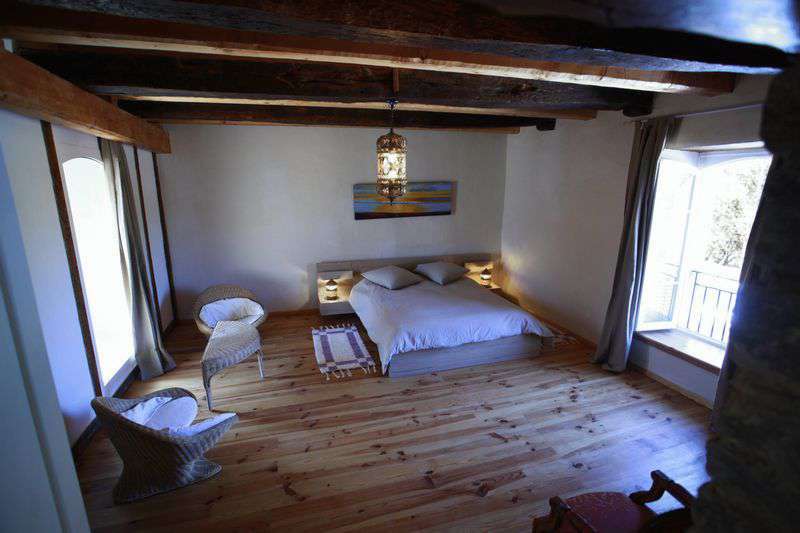 The main house (551 m2) has 11 spacious and bright rooms. 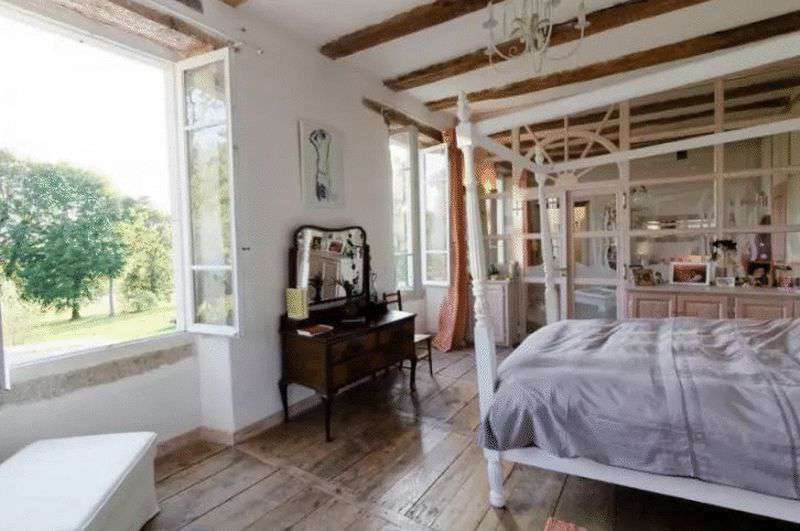 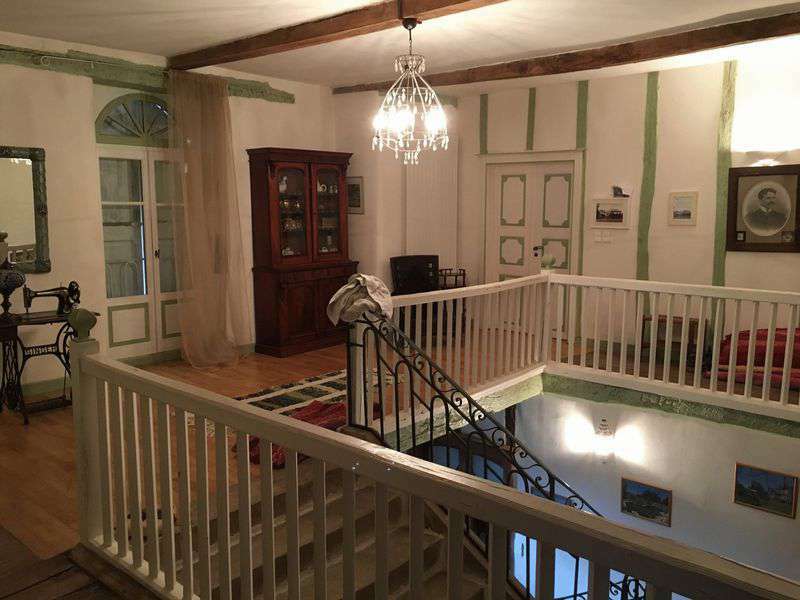 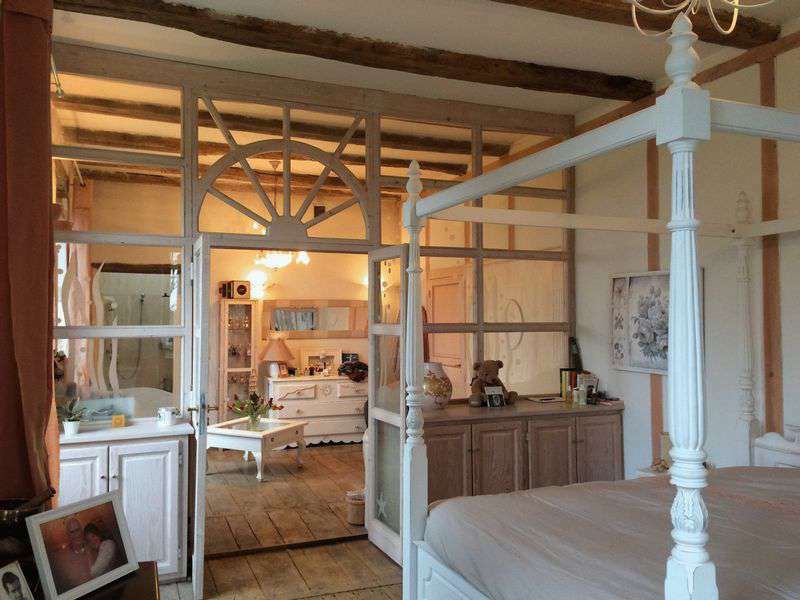 Ceiling heights are 3.20 m. The original beams are still visible. 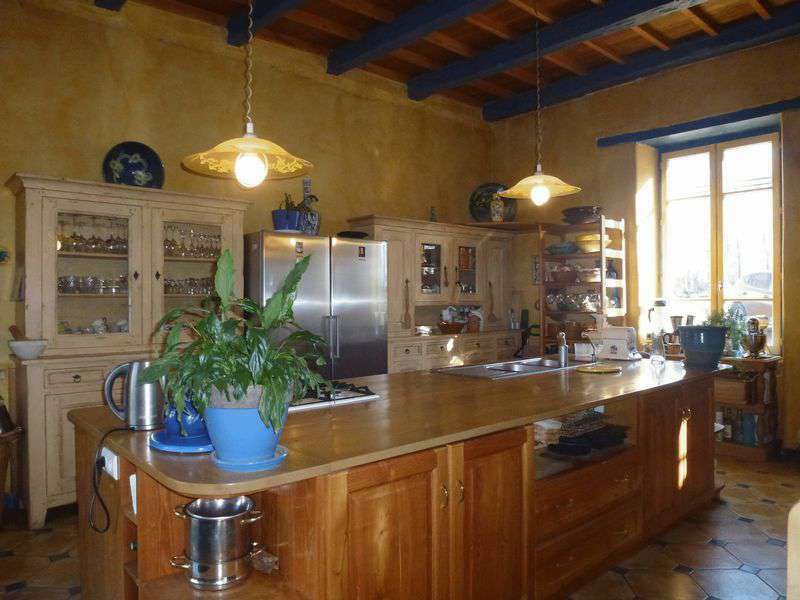 The kitchen (28 m2) with a central island and wooden work top of 3.60 m long. 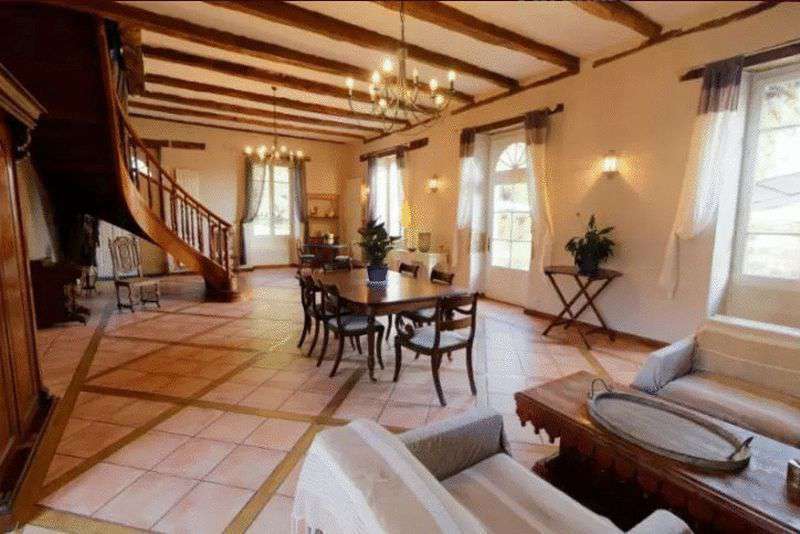 The dining room (58 m2) with a beautiful staircase in elm wood and a large fireplace in stone, which overlooks the living room (37 m2). 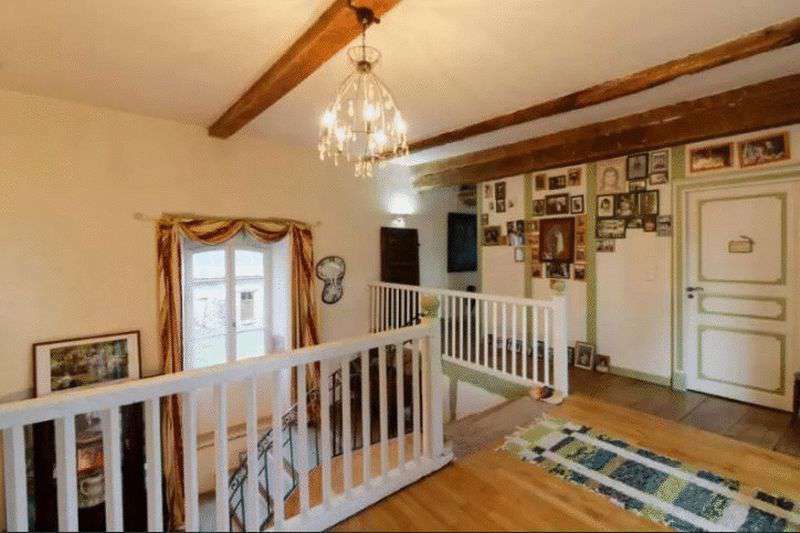 The hall and its stone staircase opens upstairs onto a superb mezzanine. 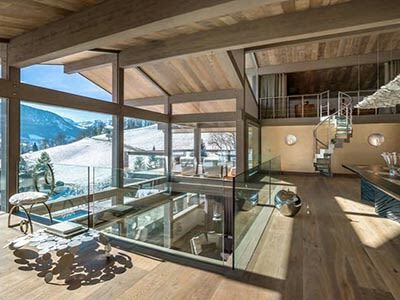 A library of 36 m2 with a large bay window. 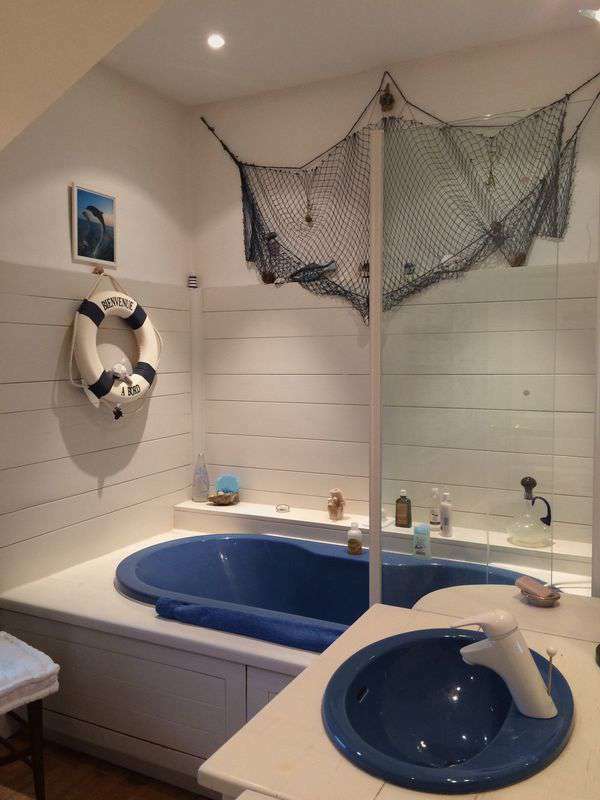 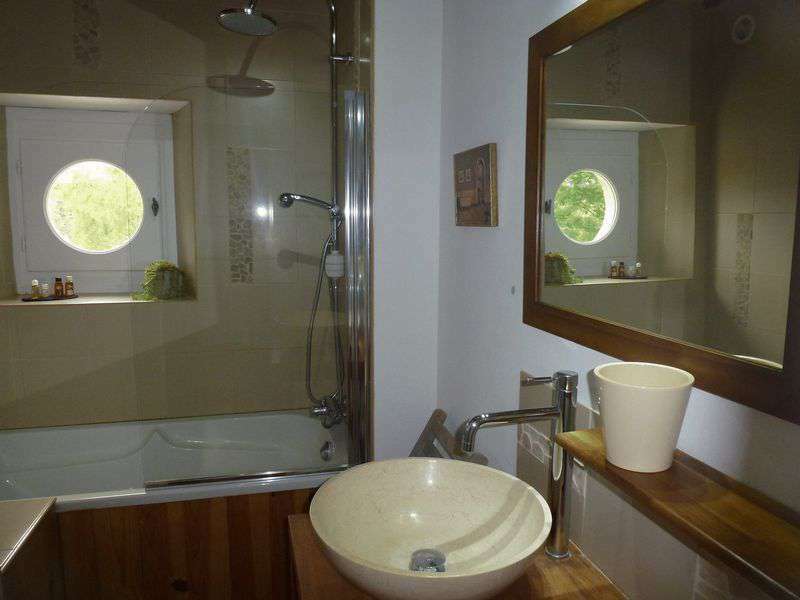 A laundry room of 21 m2 and a bathroom. 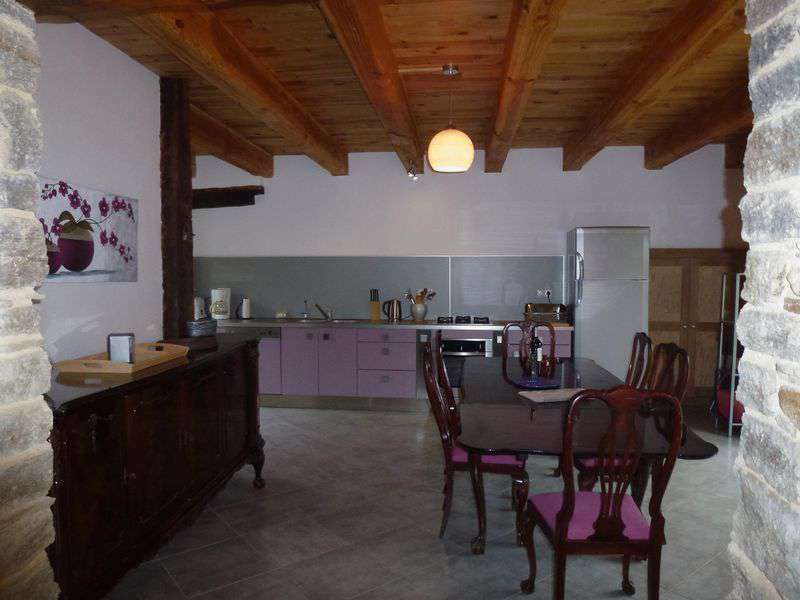 - First floor : three spacious bedrooms each equipped with a bathroom, a 36m2 office and a large meeting room under the eaves. 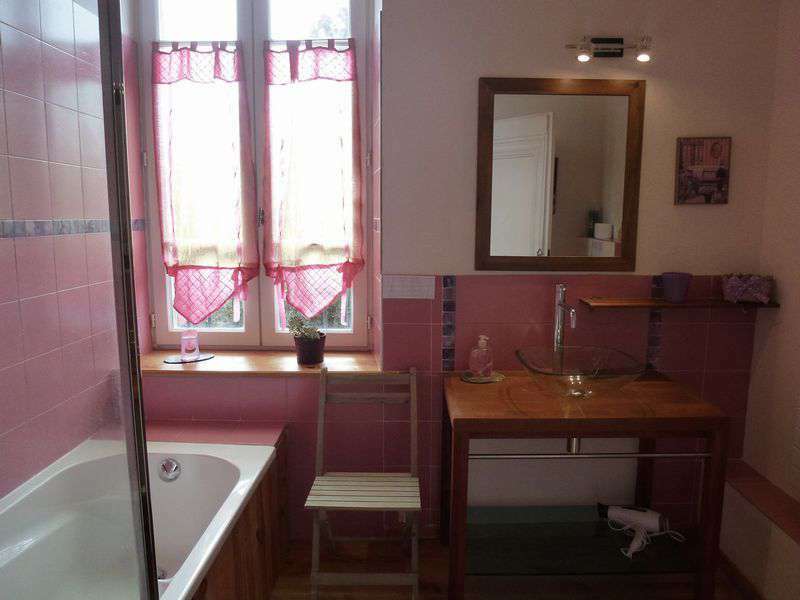 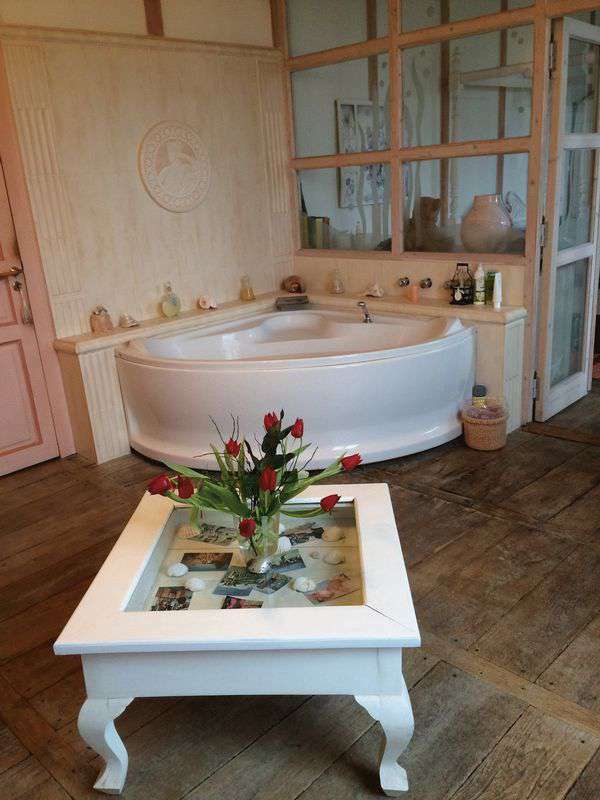 - Second floor : a suite, two lovely bedrooms, a bathroom and a separate WC. 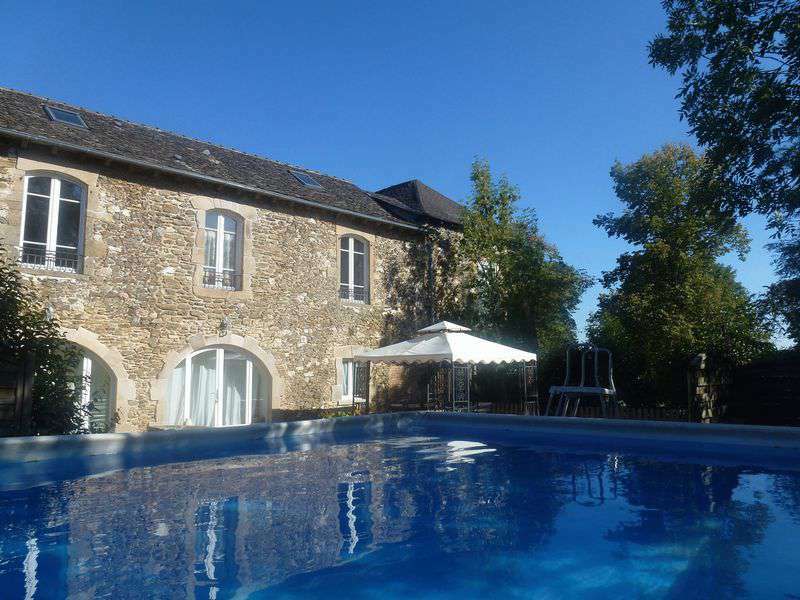 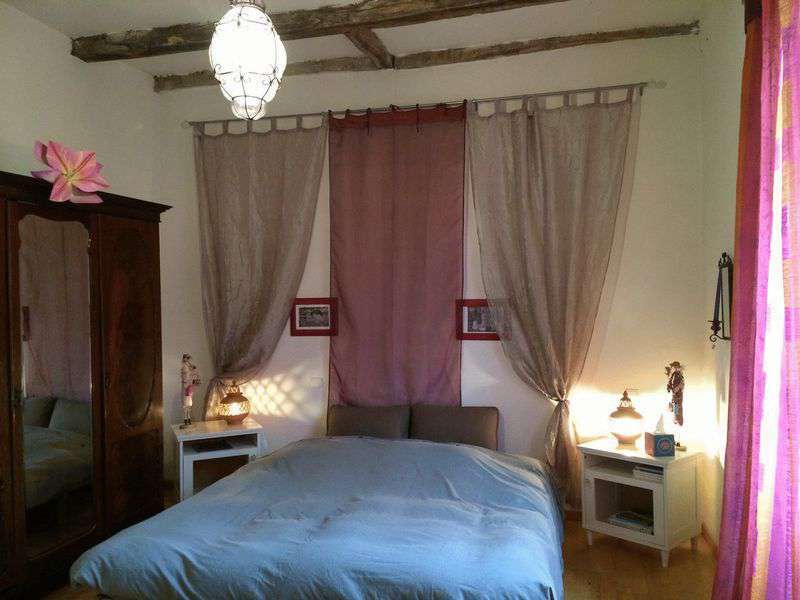 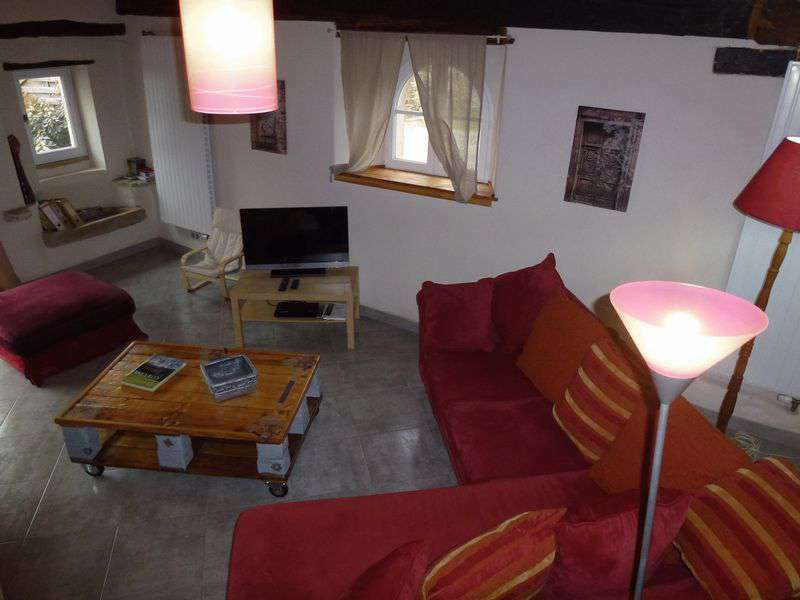 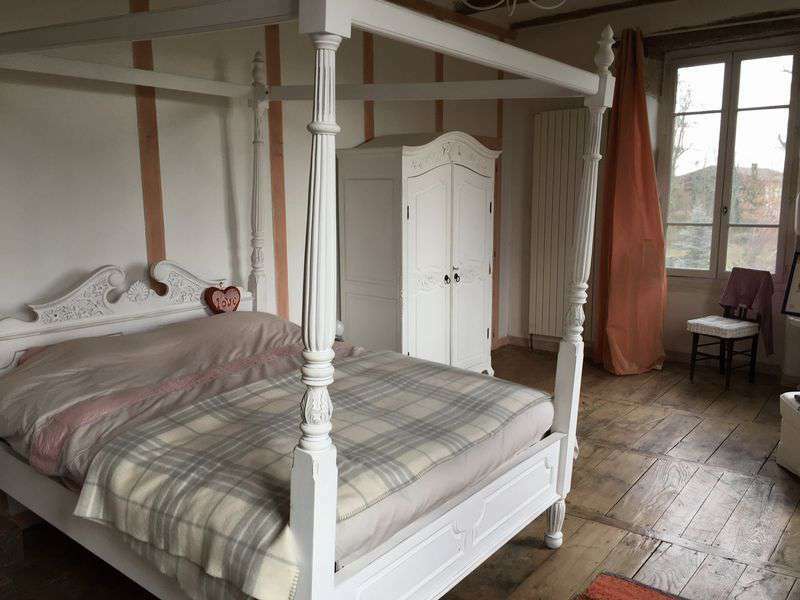 4 Gites with classification 3 epis Gite De France, active since 2011. 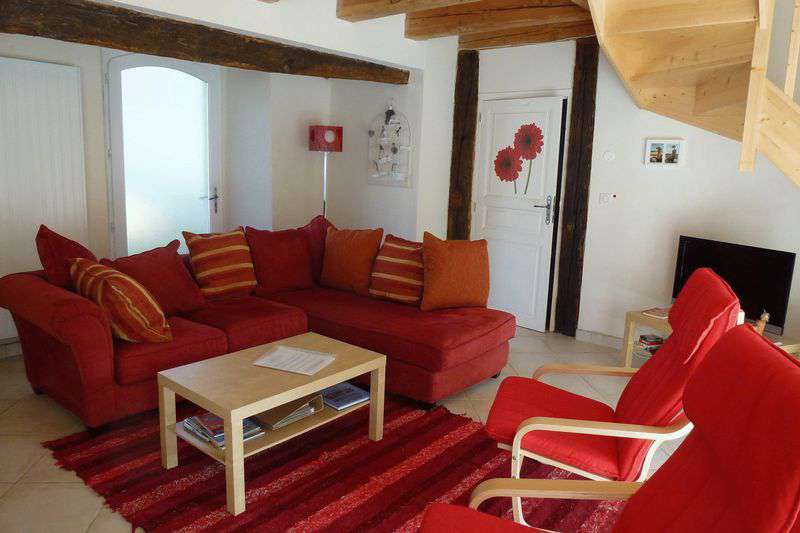 Two gites can accomodate 8 people with 4 large bedrooms each. 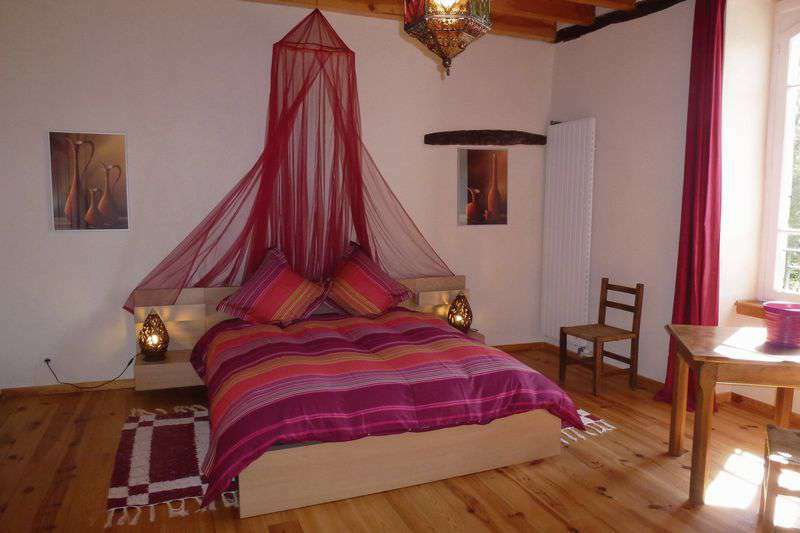 The other two gites can accommodate 4/6 people, with 2 bedrooms each. 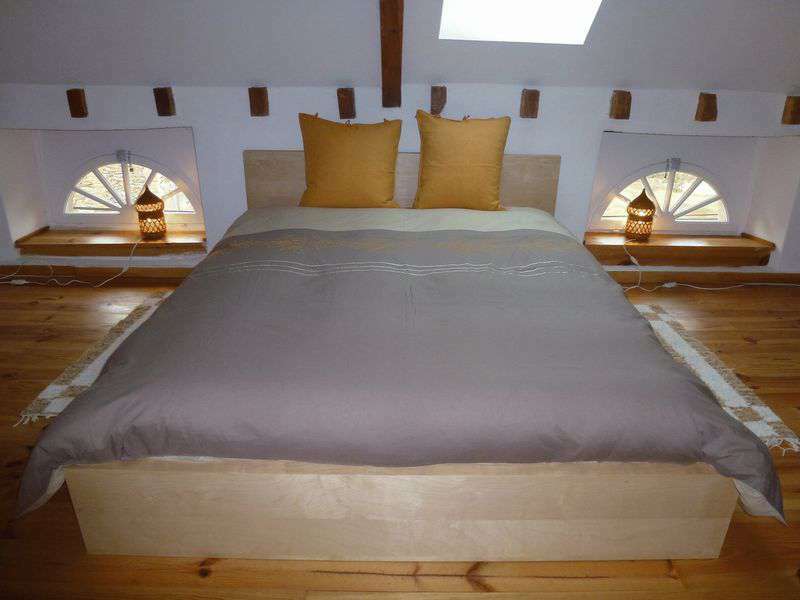 Heating: Central heating, wood stove, large fireplace and photovoltaic panels (60 m2) generating 3500 to 4000 EUR profit year. 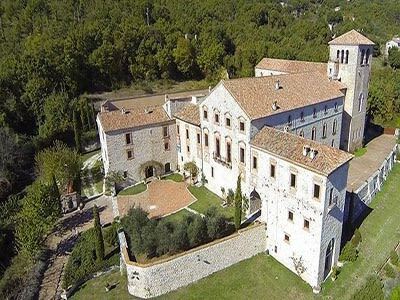 The roof in lauzes is maintained and Professionally checked each year. 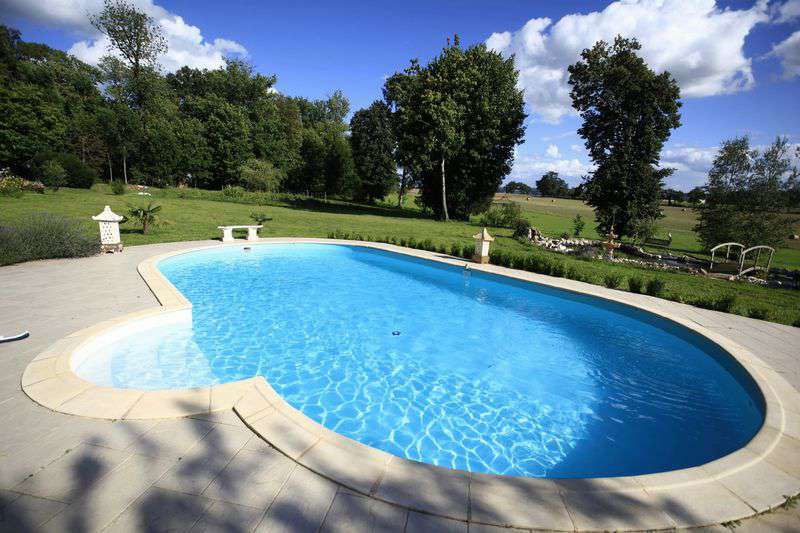 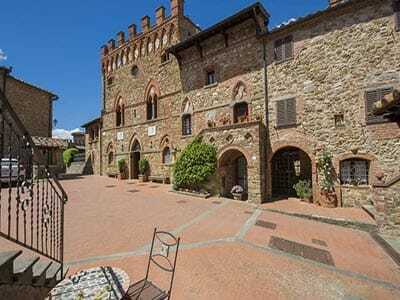 The property is situated in the Segala region, 1 hour from Toulouse and 25 min from Albi and Rodez.